Sheryl Sandberg is right about the ambition gap for women. This emphasis on personal responsibility led Jezebel to opine, “She is implying that the only impediment between the average working woman and the riches of corporate America is attitude.” And to remind us that “her path to success was paved just as much with hard work and ingenuity as it was with powerful mentors and … good fortune.” Aside from being counterproductive and slightly petty, these critiques miss the point of Sandberg’s speeches, which is not that women are to blame for the glass ceiling, but that society rewards different qualities in different genders, so business-minded women must be prepared to beat back against all kinds of negative conditioning. For Sandberg, the problem of finding child care is just another manifestation of the double standard working women need to fight. Yet Jezebel almost seems to wish this problem upon her, by snarking that she and her husband earn enough not to make affording baby-sitters a challenge. The fact is, if women hope to hold more than 15 percent of the country’s CEO positions, they do need to fight. 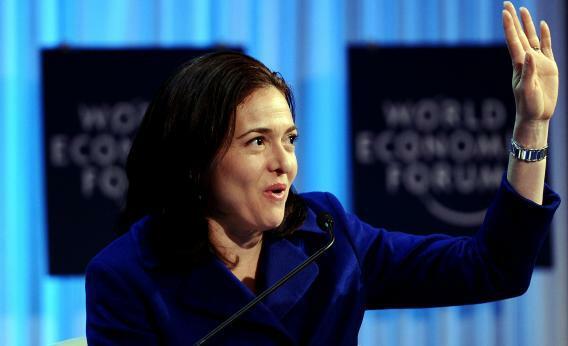 Sandberg calls on women (and men, for that matter) to reform the system, not defer to it. No one would deny the complexity of the dynamic that keeps women from achieving equality in the boardroom. But is it really so hard to concede that we have a role to play in our own advancement, and that part of that role consists of challenging the voices from our upbringings that insist on demure behavior?